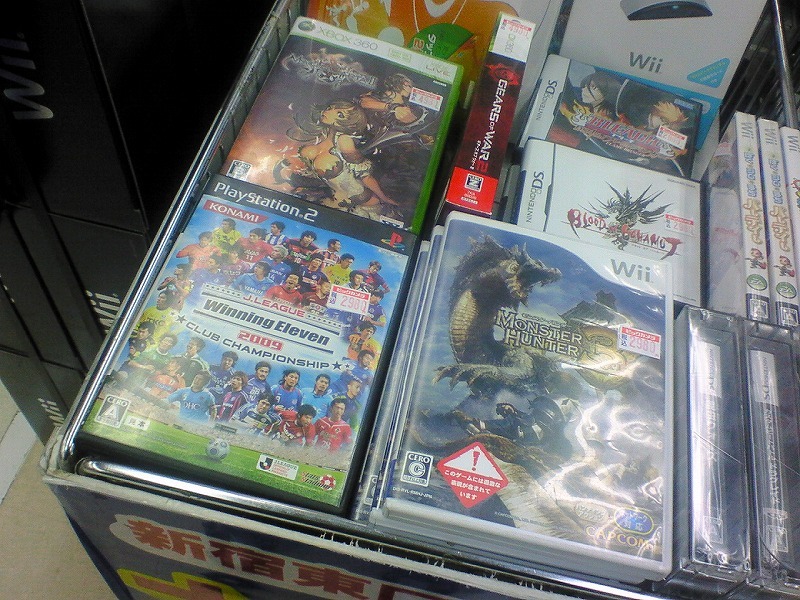 Is Monster Hunter 3 Underperforming? Wii title Monster Hunter 3 came out of the gate like gangbusters in its first week this August, selling half a million copies. So why is it already in the bargain bins? The Monster Hunter series on the PSP has been one of the real success stories — not just for the PSP, but Capcom. The game was originally scheduled for the PS3, but later announced for the Nintendo Wii. With the Nintendo Wii being the most popular console in Japan, Capcom shipped one million copies of the game. Yet, after moving half a million copies in its first week, indications are that sales are way down to the tune of 130,000 copies sticking retailers with unsold copies of the game. Some retailers like Bic Camera have knocked the price down to ¥2,980 (US$31) from ¥6,600 ($69) for new copies as part of a special sale. Capcom has already shipped these games. If sales are lower than targeted, retailers are getting screwed. Don't get us wrong, Monster Hunter 3 selling half a million copies in its first week on sale is impressive. That's the biggest third party Wii debut in Japan. Selling 130,000 copies in a week is also impressive.